I have always had a passion for human performance and health from an early age. I played football and soccer through High School and then continued to play football at Newberry College. There, I really began to grow as an athlete. 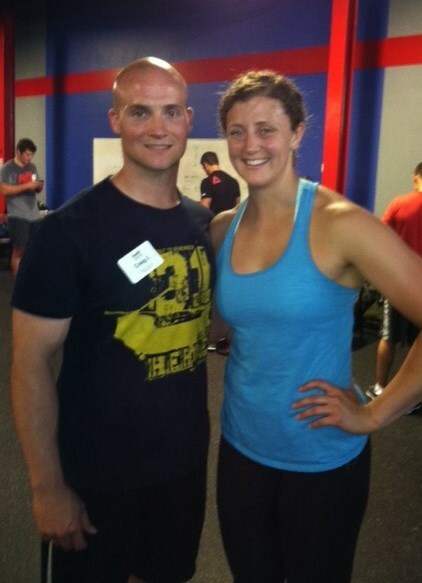 I also met my wife, Cara, there and we would train together after our sport seasons ended every spring. After college, I commissioned as an officer in the United States Army. Through my experiences in the Army, I really developed a passion for mentoring and teaching others. I was constantly in charge of several military physical fitness programs for younger soldiers, especially soldiers who needed help passing the AFPT. I was also a Police officer and SWAT operator for the City of Charleston for the last couple of years where I developed a true sense of physical fitness and the need for intense strength and endurance. I found CrossFit after some convincing and a workout with a friend at CrossFit Wilmington that left me dizzy, dripping sweat, and wanting more. The community that I experienced and the knowledge that was present by the trainers there really hooked me. My wife and I both started CrossFit in 2011 to improve our health and fill the gap of our competitive needs following collegiate athletics. We were members at a couple of local boxes here in Charleston and coached at another. We started CFNC in June 2014 out of passion for helping others. Those moments when we saw the “light” turn on for athletes fueled our path to open the doors and we can’t wait to see what the future holds. So far we could not have asked for a better experience. My personal goals are to maintain a level of fitness but more importantly keep improving my overall health and nutrition. I enjoy CrossFit as a sport but more importantly, I see the impact that it can have on people’s lives in order to live a healthier and higher quality of life and that fuels my passion. Throughout my life I have always been very active and passionate about living a healthy lifestyle. During my childhood, I swam and played volleyball competitively. I continued my volleyball career in college and played four years atNewberry College, where I met Craig. After college, I was looking for a way to stay active and starting playing beach volleyball with one of my best friends. She started doing CrossFit and convinced me to try it. At the time, I was just looking to improve my endurance and strength for beach volleyball. I never could have imagined the impact CrossFit would have on my fitness level but on countless aspects of my personal life as well. I love the mental and physical challenge CrossFit presents and the opportunity to compete not only with others but mostly with myself. I also truly love teaching CrossFit and coaching others through training and nutrition. I love getting to know our members on a personal level and watching them grow both inside and outside of the gym. Outside of the gym, I work as an Elementary School Counselor, where I try to incorporate physical well being into my work with students and families. As a kid I was always super active, in high school I participated in cheerleading and track. My dad would pick me up from school and take me to the gym, where I learned to love lifting weights. In college I stayed an avid gym rat as well as trained for a few marathons. I earned a BS in Human nutrition and Dietetics. My love for nutrition and exercise lead me to work for a non-profit, Louie’s Kids, which helps kids that are at risk for becoming obese. In my seven years of working at Louie’s Kids I helped develop their nutrition and exercise programs. I later earned a MS of Exercise Science and Nutrition from the Citadel. In 2011 I trained for the Jen Henderson figure competition, this experience is what lead me to try CrossFit. After starving myself and being judged on how i looked on stage, I realized it wasn’t for me. CrossFit was the best of both worlds for me lifting weights but still metabolically taxing, unlike bodybuilding. CrossFit rewards the effort that you put into it no matter what your fitness level. I have been coaching for 4 years in a functional fitness program at a Globo Gym, I love working with people who have never tried CrossFit before, I love watching them “catch the Bug” for loving physical fitness. I am looking forward to starting a CrossFit kids program for all year round training here at CFNC and continuing to help all CFNC members achieve their fitness goals! I have been doing CrossFit since March 2012, fell in love with it, and started coaching in April 2013. Being a police officer for over 12 years and a former SWAT operator, I found every aspect of CrossFit to be beneficial to not only the job but life in general. 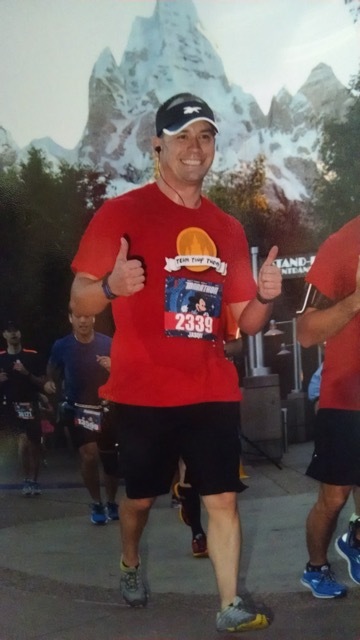 I have completed a couple half marathons and did my first marathon last year. In addition to my L1, I have completed the Mobility Cert (great course, even if you’re not a Coach). I look forward to the competitive and friendly atmosphere at CFNC. My wife and two daughters also love CrossFit and join me at the gym almost day. I grew up an active kid, and my sport of choice was softball. I played all the way through high school, but became burned out and decided to have a “normal” college experience. Apparently, that just means becoming really out of shape. I graduated, moved to Charleston and decided to get back into shape by running. 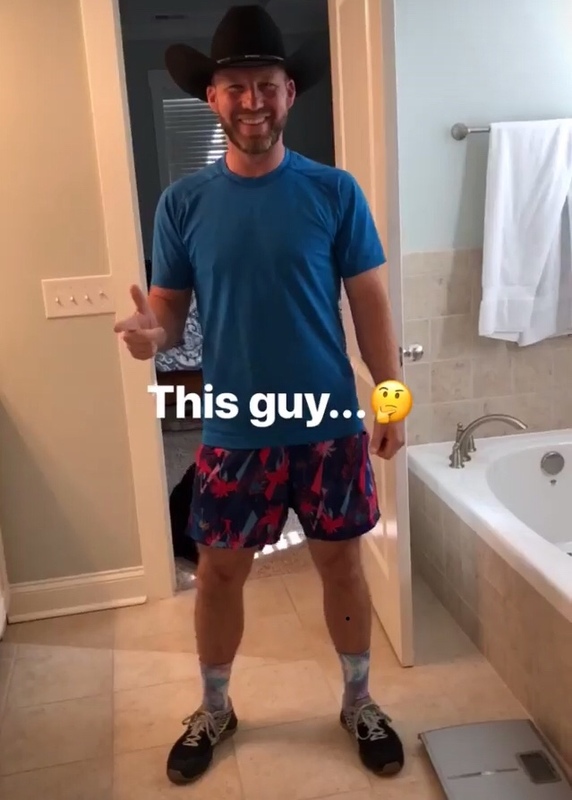 Running led to over a dozen Half Marathons, a Full marathon, triathlons of all distances, the Spartan Beast, Tough Mudder, Go Ruck, a 250 mile bike ride across the state, and the low country splash. Even with all of this, it still wasn’t quite what I was looking for, so i decided to check out CrossFit. I was hooked, and all of the endurance races slowly took the back burner. I loved how challenging the workouts were, how supportive the community was, and how it truly was a lifestyle that you choose. I love the community, the hard work and dedication, and support provided by my fellow athletes, and look forward to enjoying everything that is to come at CFNC. I have always been a pretty athletic person – swimming competitively and teaching windsurfing, sailing and water aerobics through my early twenties. 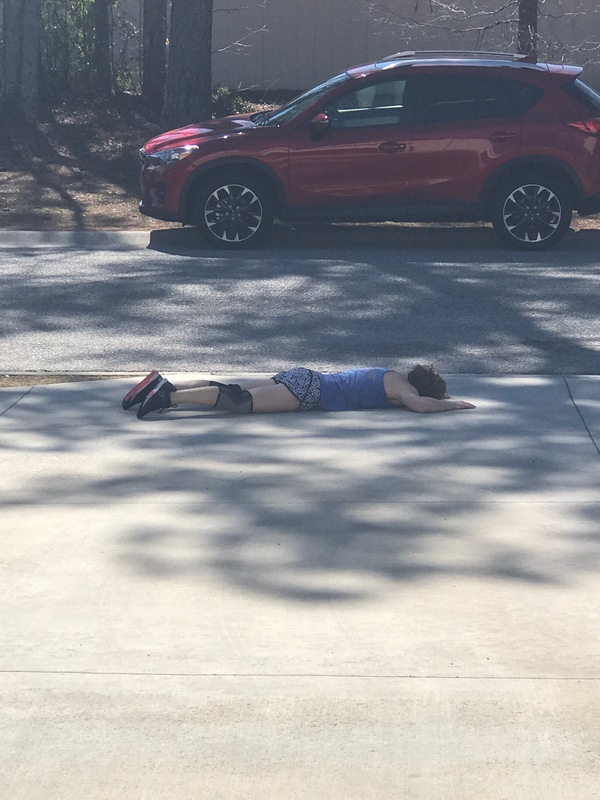 I ran a ton of fun runs, 3 half marathons and 3 full marathons, but it was when my sister challenged me to try Crossfit that it really clicked. I’m proudly a masters athlete and love how Crossfit has exposed me to weightlifting (never came near that in all my waterlogged years), allowed me to have a healthy outlet for my competitiveness and gave me the best conditioning I have ever had (plus I can do some fun gymnasticy stuff!). Crossfit has been and continues to be a journey for me, but I am confident that it is giving me the tools to allow me to age well so I can remain as active as my heart wants to be, throughout my life. Over time, as I have been surrounded by great coaches who have helped correct most of my weird Crossfit quirks, I found that the old water aerobics instructor in me wanted to help others get fit. I get excited to meet the newbies and especially love to see Master’s age people walk in the door… that takes cajones. 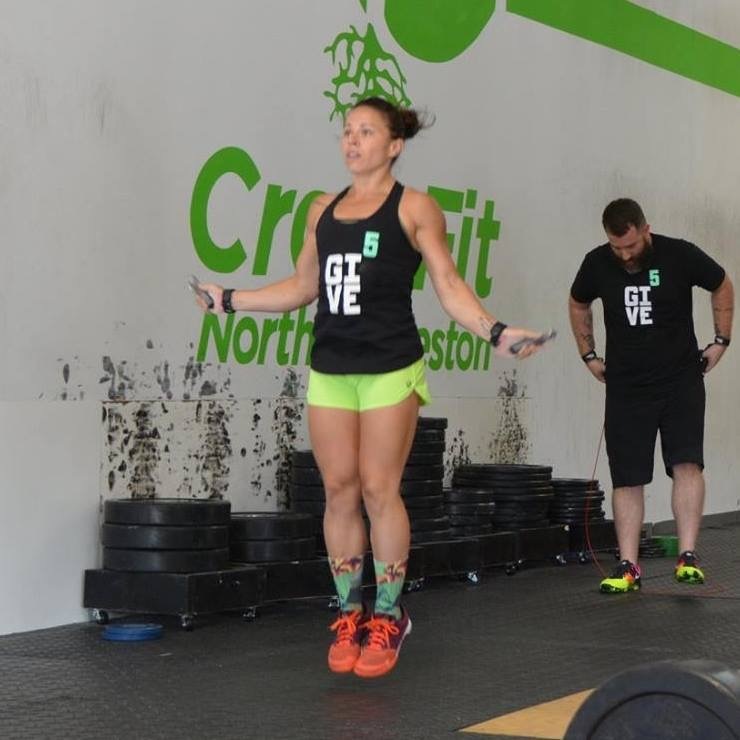 When I first began at CrossFit North Charleston in June 2014, as one of the founding members (albeit I did take a few months off in the beginning) I was looking for a gym that would take me to that next level. I found much more than that at CFNC; I found confidence, a love for weight lifting, and a lot of friends along the way. Coming from my background as a United States Marine I enjoy the team work, camaraderie, and grit that Crossfit provides. Right from the first workout, I knew I had found the right place! From the great training of the coaches, to the moral support from everyone working out, I was inspired to push myself and improve my physical condition. Now, four years later, once again with the support of the coaches and the members, I have pushed myself to a new level of performance as a trainer! I am so excited to have this chance to educate and inspire others about fitness!